Hanazuki: Full of Treasures is a short American children’s animated show. The series is set in a fictional galaxy comprising countless moons which are being obliterated by a dark force known as the “Big Bad”. These moons are protected by children called Moonflowers, who use their emotional states to activate magical “treasures”. 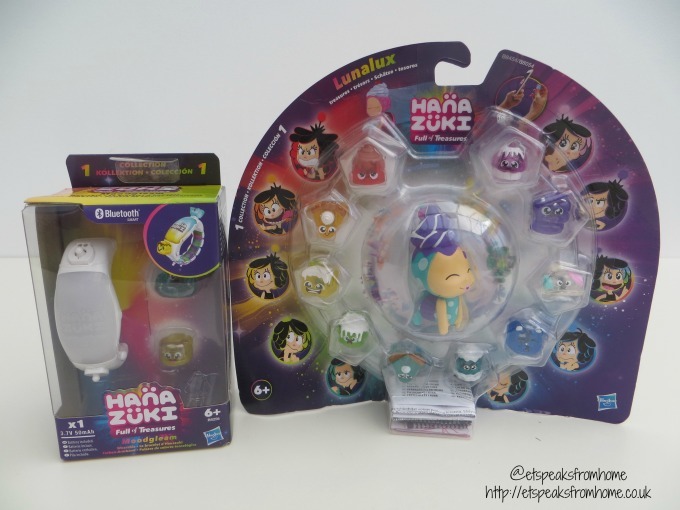 The main character is Hanazuki who lives in her own moon, and her mission is to protect it from dark forces. Whenever Hanazuki’s moods change, she will also change colour as well, which is the key to great power that could save the galaxy. There is a colourful cast of characters like Kiazuki, Sleepy Unicorn, Little Dreamer and Dazzlesscence Jones. 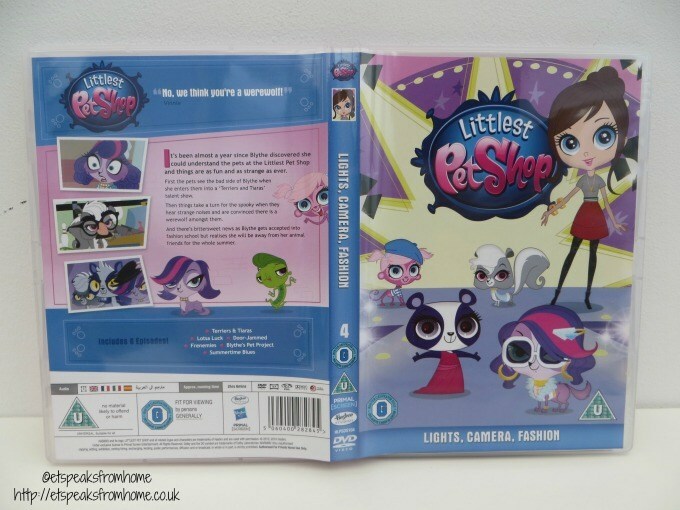 This coming Monday 13th June 2016, Littlest Pet Shop: Lights, Camera, Fashion is coming to DVD and Digital Download! Get catwalk ready as Blythe and her talented pet shop pals are back again, but this time fashion is on the agenda! 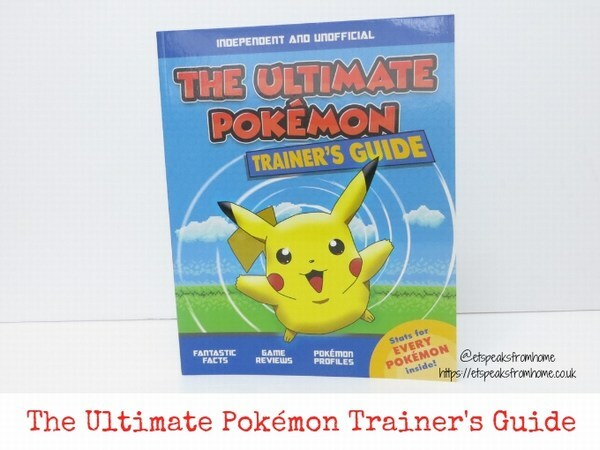 It is available in all good retailers including Amazon. This DVD contains 126 minutes of fun adventure. 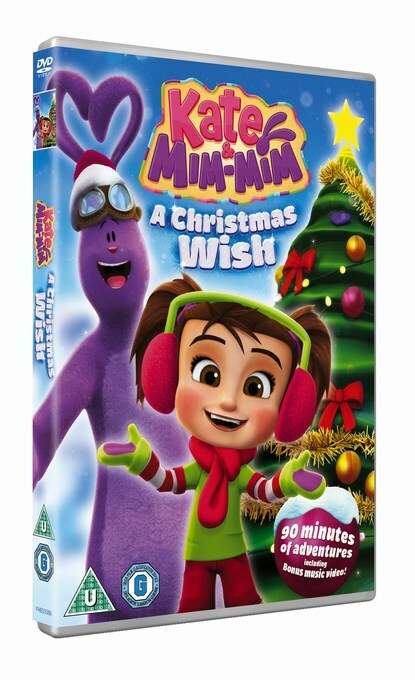 This coming Monday 9th November 2015, Kate & Mim-Mim: A Christmas Wish is coming to DVD, courtesy of FremantleMedia Kids & Family Entertainment. Kate and her toy bunny Mim-Mim are twirling off to Mimiloo for some fantastically festive adventures. Did you join us yesterday for Blaze and the Monster Machines Twitter party? We all had a lovely time with UKMumstv and Nick Jr on Twitter #NickJrBlaze. It was very manic as usual and I tweeted about my children’s creations! Yesterday was the Blaze and the Monster Machines première and it was our first time watching it! My son totally loves it! It is definitely an animated cartoon he will watch again and again! It is about AJ, an 8 year old techie who drives monster-truck Blaze, the top racer in Axle City. Blaze is Axle City’s greatest hero and it’s number one racer! Blaze knows everything about science, technology, engineering and maths (STEM). Each episode introduces different STEM concepts, including buoyancy and trajectory which are the activities that we did together during the party. Maya is a little bee like no other. Thirsty for adventure, she leaves the hive to live in the meadow, free like a bee! The world is just too big and too fascinating to remain confined to the restricted life of the hive. For Maya, the natural beauties of the world are an endless delight for the senses! Her courage, wits and insatiable curiosity will lead her off the beaten track as she wonders at the joys and hitches of life along the way. This December, beside getting toys, books or chocolate for the little ones, you might like to pop this Mike The Knight: A Very Knightly Christmas DVD into their Christmas stocking. Currently if you pop out to the shops, there are Halloween decorations everywhere. Besides getting pumpkins and scary costumes, why not get a copy of Scooby-Doo! Adventures: The Mystery Map to entertain the children too. It is available from 21st October 2013. Mr K is wearing a Junk Food’s Peanuts tee – My House My Rules. Mr K is always behave like the slogan. Yes. that’s him who has his own rules like the tee says. Junk Food’s tees incorporate retro and contemporary pop culture images and original artwork. Like The Hulk, Star Wars, Thor and other superhero print.